These University of Montana – Western Students just raised over $700 for a well project in Western Kenya. 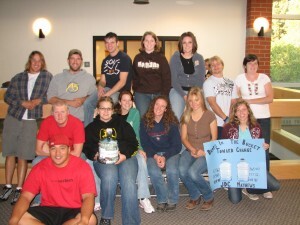 This ambitious group is the first official 2009-10 Water Challenge group to complete a project and get their money to us. Congratulations on helping us kick-off a great year of fundraising!! We’ll be sure to keep you updated on the well you’re helping to build.